Paddle and glide between islands. Pause to listen to a bald eagle or watch a seal at play. If you’ve ever wanted to slow down time, sea kayaking and canoeing in Tofino should do the trick. 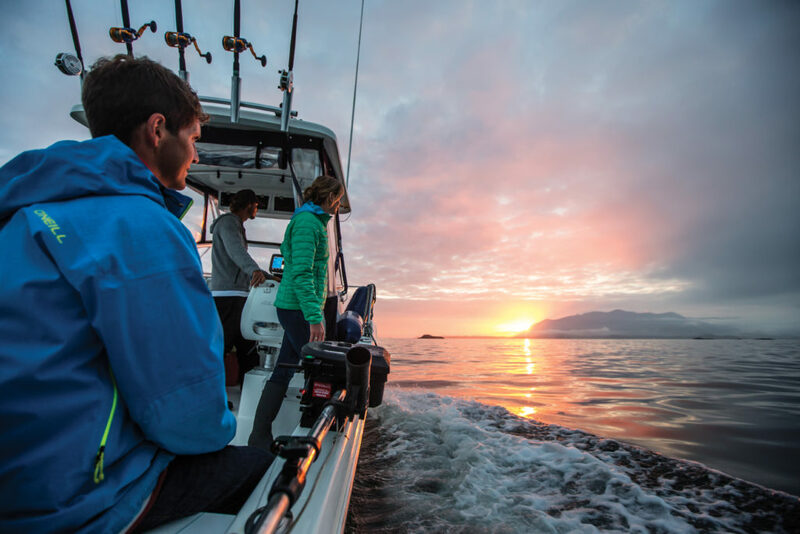 Gain a new perspective on Tofino, among other things, when you see it from your own self-propelled vessel. 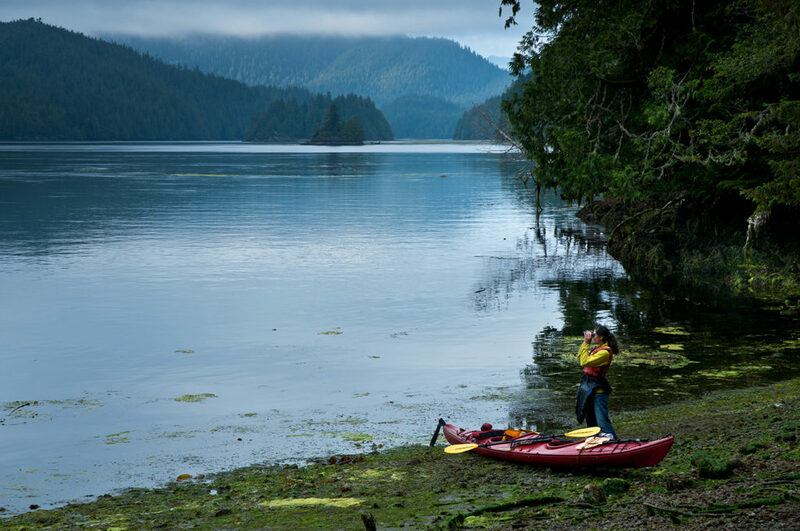 Sea kayaking is an activity that can be done year-round in Clayoquot Sound. Launch into the calm waters of Tofino harbour in a single or double kayak, at any time of year. 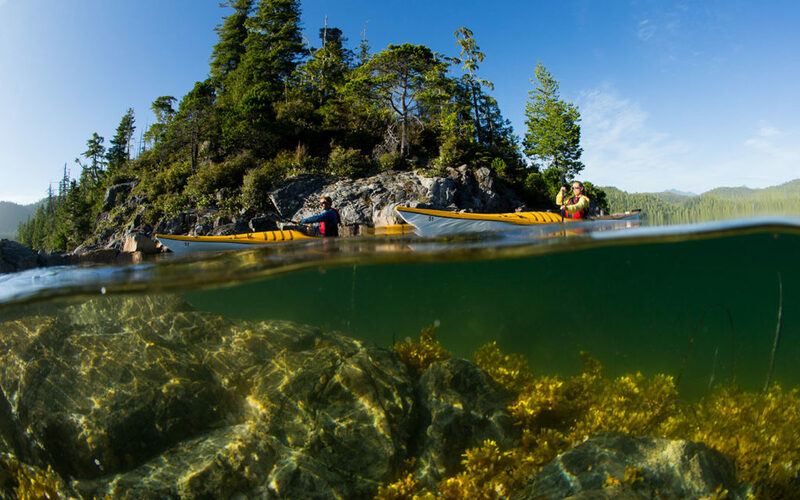 Tofino is home to a number of experienced sea kayaking guides who will show you around. A good start for beginners is the two and a half hour tour of the harbour and its islands. 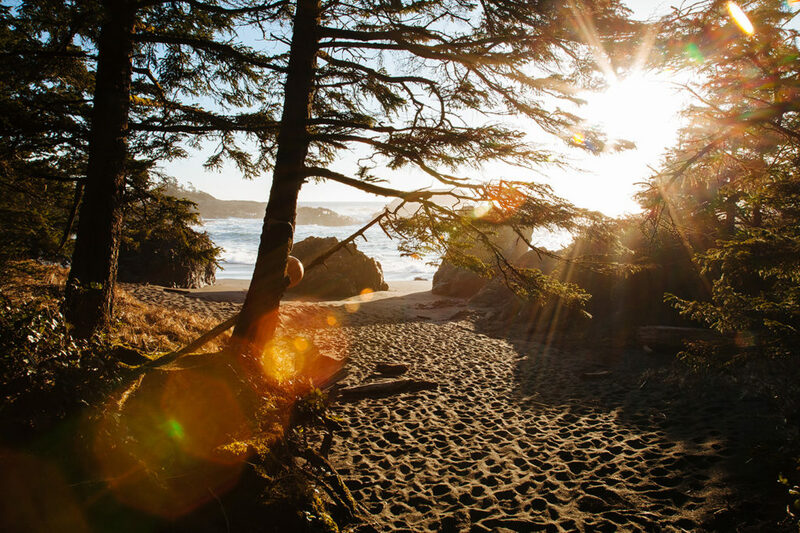 Another sought-after excursion is the four-hour outing to walk the historic Big Tree Trail in Meares Island Tribal Park, right across Tofino Harbour. After a one-hour paddle to the Island, kayakers get to walk the trail’s rustic boardwalk and meet some ancient trees. Overnight and custom trips are readily available for experienced paddlers who want to explore deeper into Clayoquot Sound. 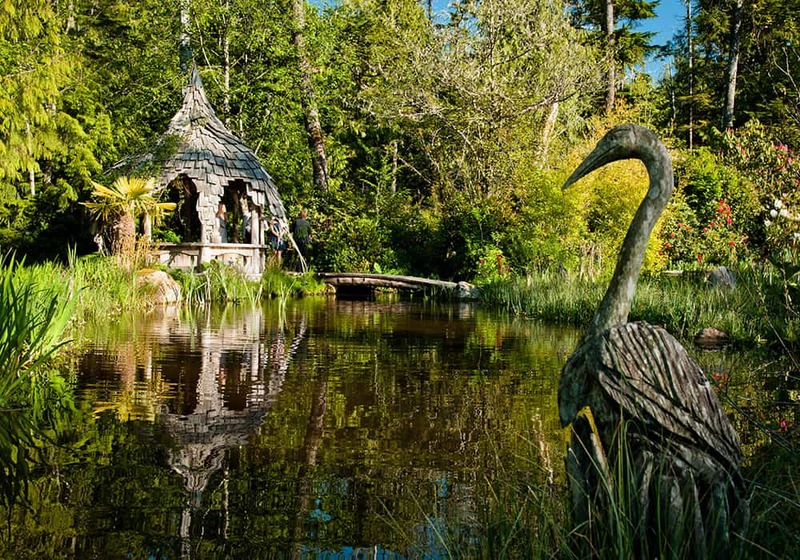 Wondering about canoeing in Tofino? Although it’s considered an iconic Canadian experience (cue the late Pierre Elliott Trudeau in his buckskin jacket), our powerful tides are not ideal for the sport. In Tofino, guided tours are offered in a traditional First Nations dugout canoe carved by a Tla-o-qui-aht Master canoe carver. Learn more about it in our Cultural Tours section.